Time was when word music and melody suited to the subject of the poem was a dire requirement, and proficiency in this area was proof positive of serious poetic talent. When novitiates stopped studying prosody, theme and meter, the capacity was lost. Today most lazy, ill-equipped “poets” think they can squeak by without it and imply such proficiency is passe’, even hokey. Sour grapes; they can’t perform! 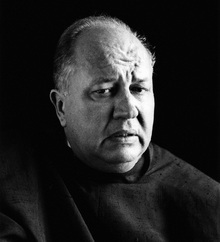 When a major prosody genius, a luminary like Seamus Heany, for instance, (or Theodore Roethke), stumbles though the highways and byways of our literary magazines, he reignites a new appreciation for the power of musical language to strengthen our verse, to make it impossible to forget, indeed, to render it instantly memorable. This entry was posted in American Literature, Literary Classics, Literary Lions and tagged American Literature, American Poetry, classics, Eliot, Heany, Poe, poetic talent, prosody, t5he music of poetry. Bookmark the permalink. My absolute favorite by the writer who inspired me to be what I am. Poe sang his verse, and I could always hear him. Poor Poe, so brilliant (as a critic and literary theorist too – defined for all time what a short story should be and do). 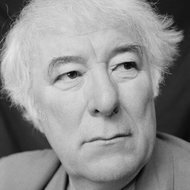 So funny, he faked most of the French and German epigraphs in his stories–he was not fluent in either, but he knew they impressed the petticoats off his lady readers who were even less informed than he.) Read his “Philosophy of Composition!” Get Library of America’s vol. of Poe’s collected reviews and criticism. Wow. And he died passed out in a gutter in Baltimore, unsung, ignored, one of our major literary luminaries. He wasn’t a drunk, just could not tolerate alcohol. So melodic, cadenced his poetry was! Made it entrancing, unforgettable. It has to be read aloud to “hear” all the music of poetic prose. Poe took the grotesque and made it beautiful. Yes, reading aloud divulges even more of its incredible musicality! 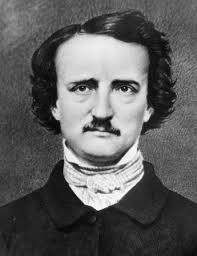 Yes, I have studied Poe in depth since I was a mere child, when I fell in love with his poetic prose. My mother gave me his full works when I started college as an American Lit student, including essays, critiques, letters, and poems. There is much misinformation in historical textbooks about his tragic life. I live in Maryland and have yet to visit his burial site. Definitely on my bucket list. There is a quaint, yet touristy pub called The Annabel Lee in Baltimore with intriguing old collections. Have you read Eureka!, his theory on the creation of the solar system? Very much a big bang theory with his own unique genius. A few years ago I met the mayor of Havre Dr Grace, MD, at an event, and he told me this preposterous story how Poe really died in a gutter in their city of grace, and they were so embarrassed the town officials secreted the body away to a bad part of Baltimore. All hogwash, I’m sure. Ah, for the lost Lenore, he still laments. Havre De Grace, please excuse my typo. Hi, Margaret! That’s a beautiful poem. Thanks for sharing.